I love Wilco like no other band, but I'll admit to losing a bit of faith in their creative output. Can you blame me? The band has more misses in their last two albums than they've had in their entire career up to that point. Disagree if you must, but I proclaim that "Hate It Here", "Sonny Feeling", and "You Never Know" be stricken from the record! If only they'd decided to combine the best of the last two LPs, then we might have had something. But unfortunately, Sky Blue Sky and Wilco (The Album) weren't hailed as triumphs like their predecessors. I've made peace with that, though. After a streak of four unimpeachable albums, I'm not about to get depressed if they level out a bit. Hell, they still bring it live. But Wilco are apparently not content with coasting, because they're Wilco. They're not naive, as I posited in a review last year, and I wonder if Jeff Tweedy was a little concerned by middling reviews and a lack of fan enthusiasm regarding the newer material. "This is from the new album, so...talk amongst yourselves," said Jeff Tweedy prior to the band performing "Deeper Down" in Savannah last year. It was a tongue-in-cheek statement, but I can't help but think there was a bit of genuine self-deprecation involved. We've been hearing about a new LP for a few months, and on Friday the band released a single that may or may not show up on said LP. And guess what? The single is great. It's lo-fi garage pop, anchored by a rumbling bassline. Tweedy's double-tracked vocals lack any sap, with lyrics spit with a sneer reminiscent of Britt Daniel. In fact, the song as a whole reminds me of Spoon's highly rhythmic approach. 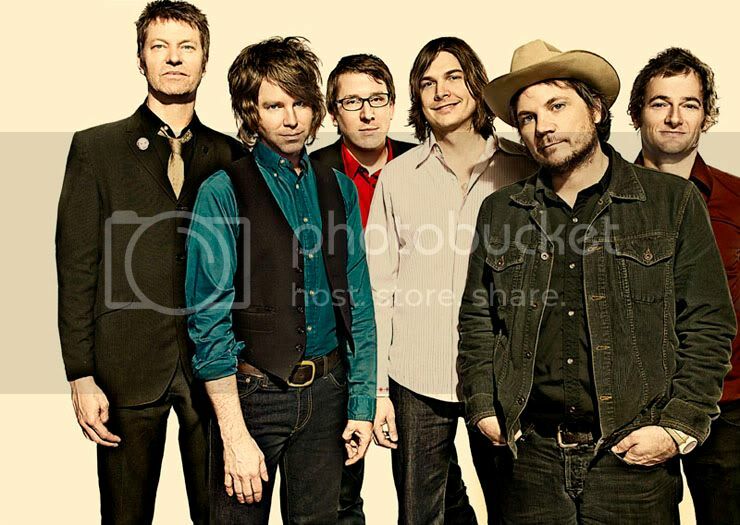 It's yet another unique aesthetic for Wilco, occupying similar territory as "I'm a Wheel" and "I'm the Man that Loves You". Who knows if this song represents the aesthetic of the new LP. We'll find out soon enough. But it's an encouraging example, and an indication that Wilco isn't ready to lay down creatively. I liked the new single too. Seems like they are back to not trying too hard again.